Star Shine is quick-drying, high gloss top coat. Use Star Shine to seal your manicure and keep your nail polish looking shiny and last longer before chipping. Apply your manicure and let dry for a few minutes before generously topping with Star Shine. For best results, use Moon Base Base Coat under your polish as well. 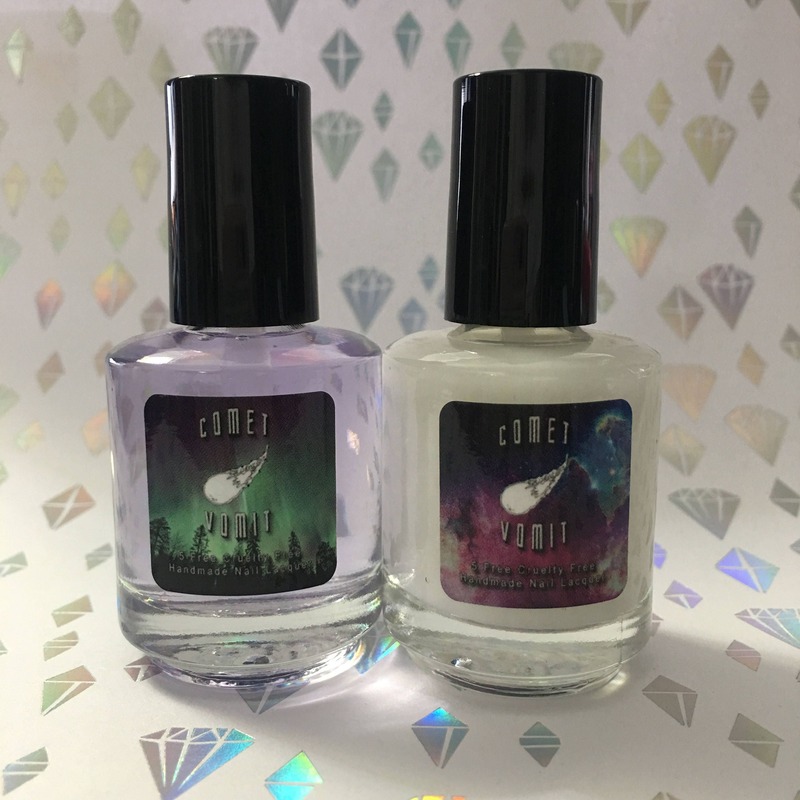 These polishes are both 10 free, vegan and cruelty free. Once again, in love! These always help my nails stay in shape and my other colors stay put. Smooth application and long lasting! Everything was sent out super quickly and was packaged safely. I am kind of new to painting my nails so I don't have a lot of experience with different kinds of top/base coats, but my nails look really nice and the coating has been really strong.